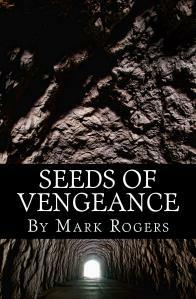 In Medieval England, fifteen-year-old Lady Myra battles a tyrannical bishop. Encouraged by the ghosts of her ancestors, warrior queens Boedica and Gwenivere, Myra leads an unlikely league of Highlanders, renegade Vikings, and cloistered nuns to fight for “Northumbria and Honor!” As armies collide on the moor, Myra lures the bishop to a great henge where she must battle for her people and her immortal soul. This coming-of-age story teams a baseball-loving ghost and a lonely girl in a common quest: Check off the adventures Donnie wrote on a “Bucket List” so he can be freed from the earth…and from the ghost boys who terrorize him each night at sunset. Crossing Deep River (MG/YA) is set in small town Louisiana, 1965, and showcases the development of a deep friendship between an elderly wise woman and a 15-year-old Yankee in the midst of the segregated south.